Apart from the new mobile launched, Infinix Mobility got something new; a customised user interface which they named ‘XOS Chameleon’. It was launched alongside the Infinix Hot 4 and Hot S in August. You can also find the it in the latest infinix Note 3. XOS Chameleon has a speed that makes the ride through your apps so jolly and merry. It makes multitasking easier and faster. XOS Chameleon UI has a strict security measure. It has features like X manager, Xhide and freezer, and Private protection, which all have unique ways of ensuring super-protection on the phone. The Xmanager locks apps on the smartphone, while the Xhide and Freezer enables the user to hide importand and private applications, and the Privacy Protection Feature reduce the accessibility of unrecognised SimCard to the smartphone. 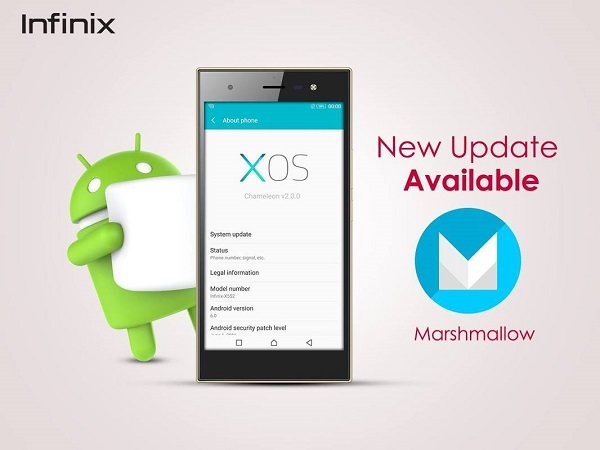 XOS has a fingerprint manager which allows users to use fingerprint in protecting their phones. Effective use of storage space, minimized use of data, and increased battery efficiency. Also, XOS come with beautiful and fashionable Xthemes with Magazine Lock. These features enables the user to switch between wallpapers, and use motivational messages each time the phone is unlocked. And, to me; the most incredible one, is the new way to screenshot. Good riddance to the ‘journey’ to the volume or power button , all you need to do now is Swipe 3 fingers across the screen. This is amazing! How it will work, I don’t know yet! Anyway, you still got more features on the phone too. So, if you on Infinix, go get an upgrade asap!